Are you nervous about school starting back up because you don’t know how your child that has ADHD is going to perform? Don’t worry you are not alone. Most parents with a child that has focus/attention issues are nervous for the upcoming school year. Some parents may have contemplated putting their child on medication, while others want to exhaust all options before putting their child on those powerful medications. Here are 3 different drug-free strategies that you can try to help you child with his/her focus and attention issues. Neurofeedback can help your child learn how to regulate their brain activity. This will help them concentrate better at school and when working on tasks/homework. 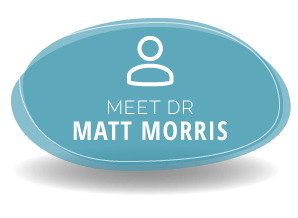 The therapy works by hooking up sensors to your child’s head and having them watch a screen that shows their brain wave patterns. Then the therapist will instruct them to perform certain tasks. It is sort of like training them how to have control of their brain. This is becoming a more and more popular form of natural treatment for ADHD and concentration/focus issues. Neurofeedback isn’t widely accepted yet, but there are lots of glowing reviews by parents out there. Diet is very important for sensory kids and kids with ADHD. Cutting out food additives, dyes, and sugar can greatly reduce the symptoms of ADHD. It is recommended that you should also give your child a high quality Omega 3 fish oil. This can help improve brain function and focus due to the DHA that fish oil contains. Every child is a different, so experimenting with what foods increase and decrease your child’s ADHD symptoms is important. I recommend cutting out one thing at a time for a week or two and see how your child reacts. Diet should be the first thing that parents try because it is the most cost effective way to reduce ADHD symptoms. Pediatric chiropractic care is nothing like conventional/traditional chiropractic care. It is not about bad backs and necks. Instead, it is all about the brain and nervous system. The more physical, chemical, and emotional stress that a child undergoes from birth, the more likely their nervous system is to be stressed out and not functioning properly. The function of the nervous system is to perceive the environment and coordinate the behavior of ALL other cells. The function of our bodies depends on the function of the nervous system. 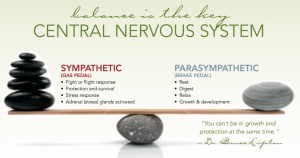 Our Sympathetic Nervous System is like our gas pedal. It is our fight or flight, protection/survival mode. The more stress children undergo at a young age starting during development in the womb, the more the Sympathetic, gas pedal, mode gets stuck on. In our office we find that many kids with ADHD are stuck in their Sympathetic mode. Pediatric Chiropractors are specifically trained to calm the Sympathetic Nervous System. This allows children to get out of that protective, gas pedal mode and makes concentration/focusing a lot easier.